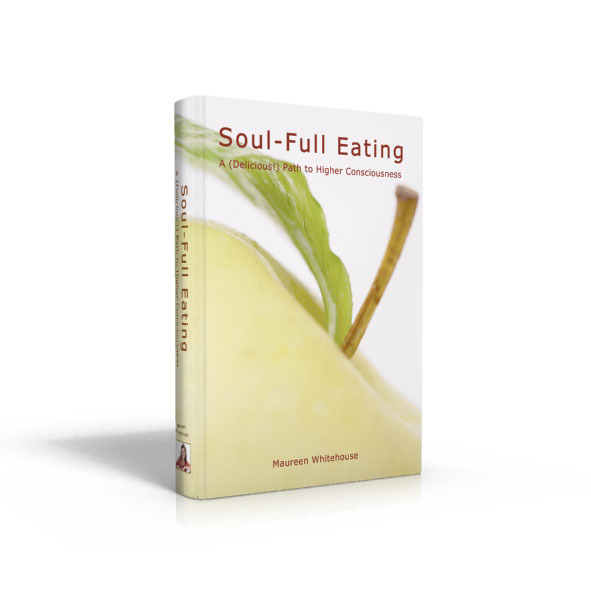 In her provocative book, Soul-Full Eating, Maureen Whitehouse artfully combines her knowledge as an expert in nutrition and spirituality to guide you along a delicious and rejuvenating, Soul-satisfying path. It’s one based on the love of food that anyone – no matter their faith, religion or personal philosophy – can follow. Make simple, dynamic changes in the way you select, prepare and eat food that will increase your vibrancy and personal energy. 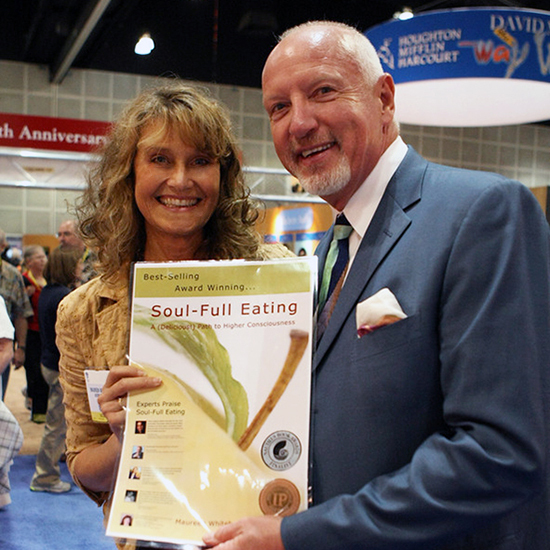 Learn the ins and outs of a variety of alternative diets — including Raw Foods, Macrobiotics, Ayurveda, Acid/Alkaline Balance, Food Combining and the “new” Kosher. Gain cutting-edge knowledge about weight loss that promotes self-love along with dropped pounds. Use food to stimulate the body’s ability to rejuvenate and heal. Outstanding! This book will fill you with Soul. Every religious tradition describes the ‘still, small voice within’ that speaks clearly but quietly. 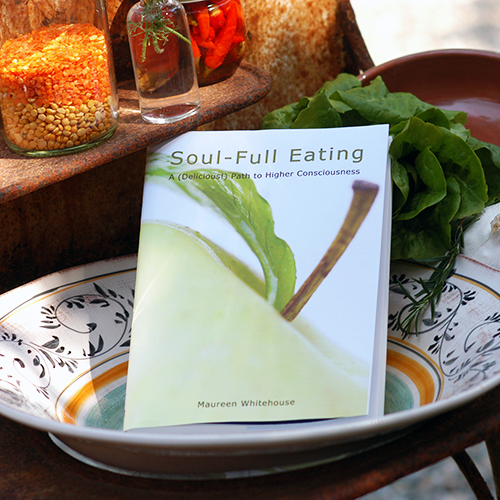 When we listen to our inner wisdom, we tend to choose foods and ways of living that are more healthful, as Soul-Full Eating describes.